See Tony TNT at his March 2014 Federal Court Appearance! Our friend, #1GOORU just sent in a really great idea to my Mail Bag. Rather than just post it in the bag, and have only a few people see it, I wanted to make it a full post so that thousands of you will get a chance to see his/her great idea to visit Tony TNT Renfrow later this month in his Kansas Court Appearance (Case Info). Comment: I would like to suggest that someone (Southern Shaker?) with resources inform Mr. IQD what,when,where on March 25th? the court appearance for Tony Renfrow in Kansas City will be (which court room, time, address, etc.). If you announce it, then maybe those readers who are close and would like to attend, can. If it were in my hometown or near, I’d call the local TV and be there in front of the court house early carrying a sign “DOWN WITH BOTTOM-FEEDING DINAR WHORE PIMPS!“. Then I’d put my sign down, walk in and be very civil in the courtroom. On the other hand, he might have some of his goons out watching for any angry scammed people, in my opinion. Wonder what happened to the $14million I heard people were scammed out of. One thought – if someone has a 4G high speed data/internet connected mobile phone that has installed the Google “Hangouts” App, they can stream LIVE footage inside and outside of the Court Hearing (if the Court allows it) of Tony TNT Renfrow making his appearance! I’d want to watch that!!! LOL!!! WARNING: Under no circumstance shall you approach or attack Tony TNT Renfrow – inside or outside of the Court Room. You do not want to have the Judge or the Court System take any action against you – trust me, Tony TNT is NOT worth it. This entry was posted in Hack "Gurus", Tony TNT, Uncategorized and tagged #1GOORU, court, Google Hangouts App, Kansas, Southern Shaker, Tony TNT Renfrow by MrIQD.com. Bookmark the permalink. I hate to tell you this but Federal courtrooms allow no phones in the building with photo taking ability. No photos are permitted, not even accredited media can shoot footage. Thus, when you see the networks news it’s always the old drawings inside the courtroom. Though you can get a photo of him once he leaves the federal building where the hearing will be. Thanks for the update Brad, good to know, always safe to check and be sure. Hey Mike, This is a volunteer effort – I don’t do this 24/7 – I have a life I live and a job I must show up for M-F. Sorry I can’t respond quickly every time someone sends me an email or posts a response. You are more than welcome to go out on your own and with your own money and start your own website. I’m not doing it for the money like some of these Hack Gurus. Friends, please don’t attack people who call me our or criticize me. I want them to post here. I need the community to see that I welcome ALL dialogue and don’t just instantly “ban” a person for raising a question. I believe someone told me it is now April 30th 2014. Which if it is, that is really ironic since the Iraqi Parliamentary elections are also being held on April 30th. Many Many MLM programs, including the ceo’s are charged, because the IRS is not getting a piece of it. Innovo, a skin care program fought it and won. Went on to become a public company. Not everyone that is charged is guilty of fraud, but are always charged. Give Tony a break. Most starters of an MLM company get wealthy because they started it. Not different than any other company. The Government can’t stand for anyone to make a lot of money.PERIOD!! Try reading some of the complaints/charges and also public criminal records (he’s served four years prison sentence in the past, for starters) on Anthony Renfrow. This suggestion or opinion is not a condemnation of MLM scheme or inventive money-making ideas, or an unwarranted warning about some hard working nice guy or business just trying to make it, or about a tax evader the IRS wants to get. I so wish you were right, Delores. You sound like a fair person never scammed by Tony or the likes of him. But there is a much larger community out there that has experienced otherwise. If you would be inclined to trust him, after doing some research on him and the claims he’s made and is making, then like Mr. IQD said, that would be your choice. But I think you are a much more astute business person than that. P.S. You can follow links from articles ON THIS SITE to 1.The public criminal records proving what is said here 2. The many complaints reported by people from various scams, plus 3.The actual pending FEDERAL court charges. It’s all here. No one is pulling your leg or bashing anyone just to be doing so. It is a warning to the yet unknowing public. I guess you haven’t read any of the complaints against Anthony Renfrow on the 14 daily plus scam. Before you defend this conman read what a lot of people think about him. 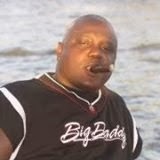 Hit http://www.ripoffreport.com/reports/directory/tony-renfrow real people naming Tony Turd as stealing there money. Yes there is innocent until proven guilty but when you have people naming him as the thief I will go on the side of the victims.